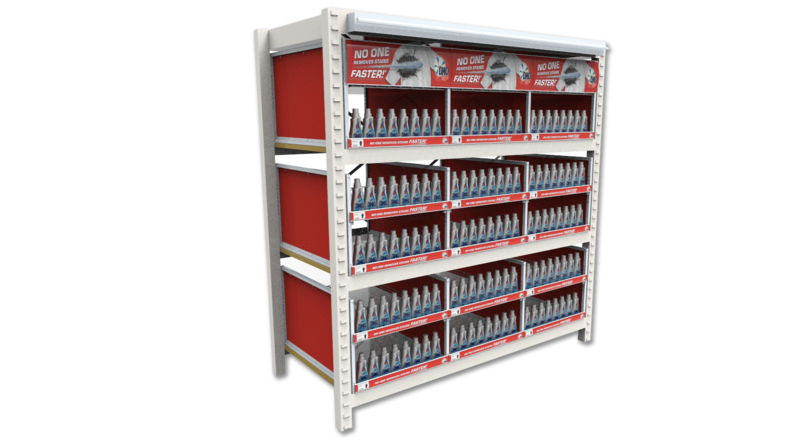 Design & Manufacture a “Category Solution” for Makro for industrial racking. Project Room provided a 360 solution on this project by doing a 100% store audit, full design & product development, production and installations into 19 stores. 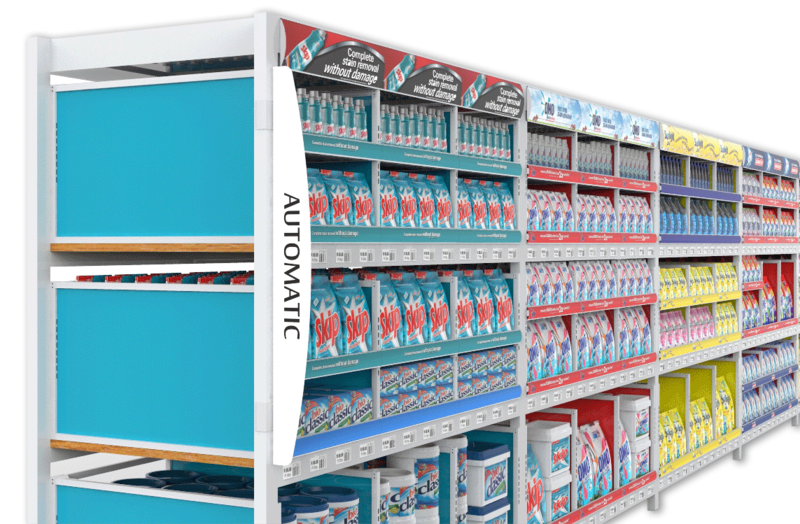 The Makro Gantry Shelf Transformation project was briefed in April of 2013 after a discussion with the Unilever Walmart Customer team on how to create a better and more intuitive shopping experience in the Makro store. After thorough in-trade audits, we proposed a solution which would not only solve the current issue but also serve to further promote the company’s Home Care brands. The pilot store installations were flawless. 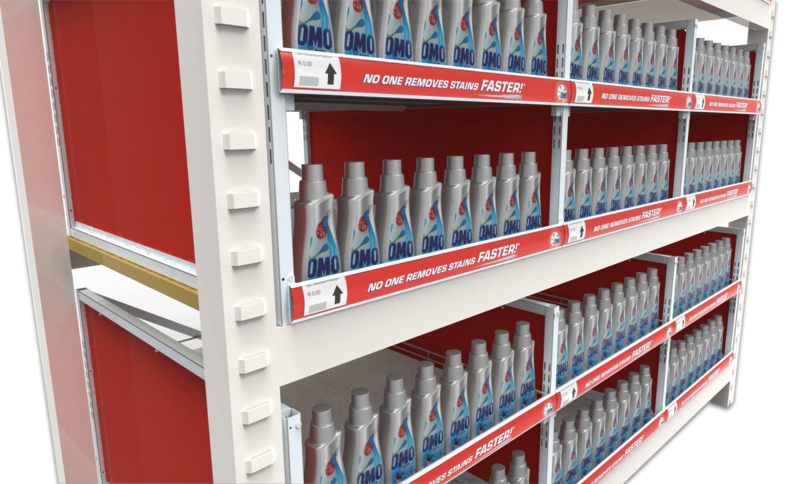 All Makro stores on a national level will soon be outfitted with our Gantry Shelf Transformation solution. The units work perfectly in this category but would also be suited for use in alternative categories, whether bulk or retail within the Wholesale Environment. The unit is engineered to fulfill the hard and rigorous environment of mass trade. The structure is designed as steel tube frames and wire shelves. The design accommodates the demands of heavy soap and detergent products. The best way to describe the shelving solutions is tough, flexible and modular.